A combination of killer UI, intuitive designs, and smart digital strategy. 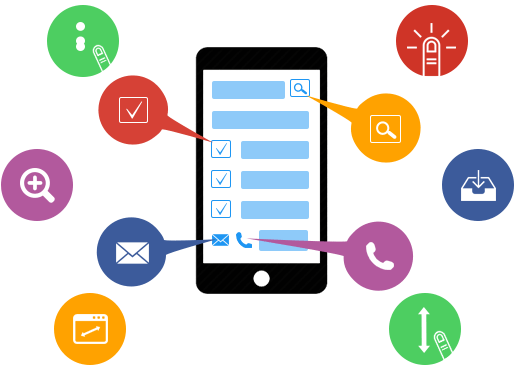 We provide customization service to meet our customer's requirement and help their business reach their customer's mobile. 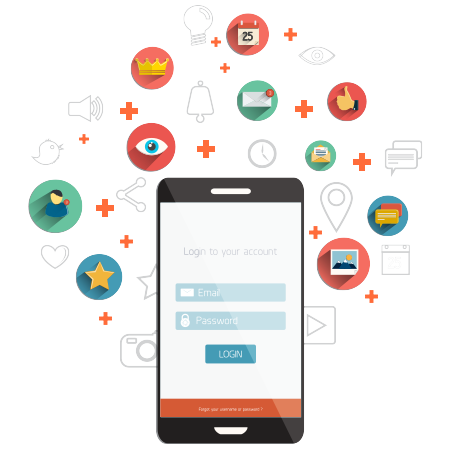 We design and develop top notch iOS and Android app designs for businesses using the responsive approach and latest technology. We deliver comprehensive and tailored mobility design solutions to cater the needs of your business and users. We don’t just give designs for your needs; we collaborate with you during the entire design process. We understand your unique requirements like no one else, which allows us to sculpt app design that delivers results what you are looking for. We use latest prototyping tools, so that you have a clear idea of what we are doing, eliminating any unwelcomed surprises. We follow a process-oriented methodology that takes you through understanding the requirements, UI design, prototyping, final design, and delivery. Use of trends like gestures, diffuse backgrounds, etc.